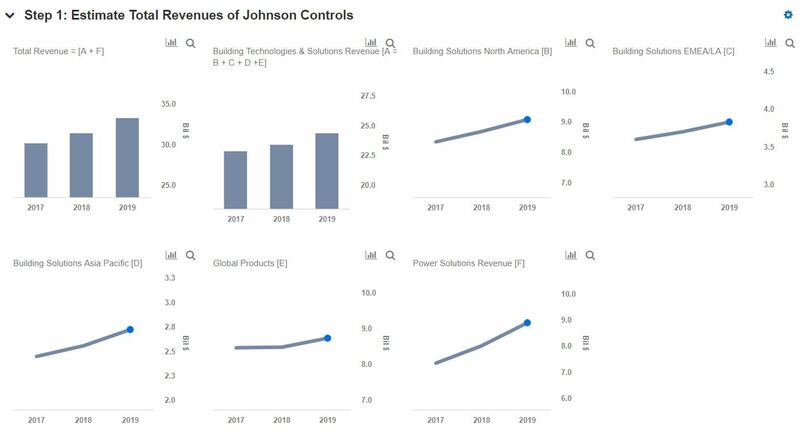 Johnson Controls (NYSE: JCI) released its Quarter 1 (ended December 2018) for Fiscal Year 2019 recently and also did an earnings conference call. The company posted revenue of $5.46 billion while the earnings were $0.39, both above the consensus estimates. The company is on the path of good growth with new product introductions continuing to be ramped up for Fiscal Year 2019. The company’s backlog at the end of the quarter stood at $8.5 billion, up by 7% year on year (YOY). Synergies and Productivity: JCI committed to a significant restructuring plan in FY 2017 related to cost reduction initiatives. The company currently estimates that upon completion of the restructuring action, there will be a significant reduction in annual operating costs from continuing operations, which is primarily the result of lower cost of sales and selling, general, and administrative expenses due to reduced employee-related costs, depreciation, and amortization expense. Such measures will result in an improvement in the margins. Favorable Macroeconomic Environment: GDPs across its key geographic region are beginning to moderate, but the company is quite positive of its presence in those markets after a good growth period last fiscal year. This has aided the growth in the North American non-residential construction markets. Moreover, the rebound in global oil prices has helped to ease budget constraints in the Middle East, supporting the release of some large infrastructure projects in the region. These trends are expected to continue in the near term. New Products: The company is ramping up new product introductions in Fiscal year 2019 with the aim to elevate its market share. The company’s portfolio is being built around solutions which help the customers build, design, retrofit, and manage the next generation of safe, smart, and connected buildings. Share Repurchases: In Q1, the company purchased just over $14 million shares for approximately $465 million. They also plan to utilize a portion of the Power Sale proceeds later in the year to purchase additional shares, which is expected to contribute about $0.03 in incremental earnings for the year. The new expectation of diluted weighted average shares is approximately $905 million for the year.